After a pleasant 1 ½ hour drive from my home in Los Angeles, I arrived in Temecula, the rising star of the state’s wine country. 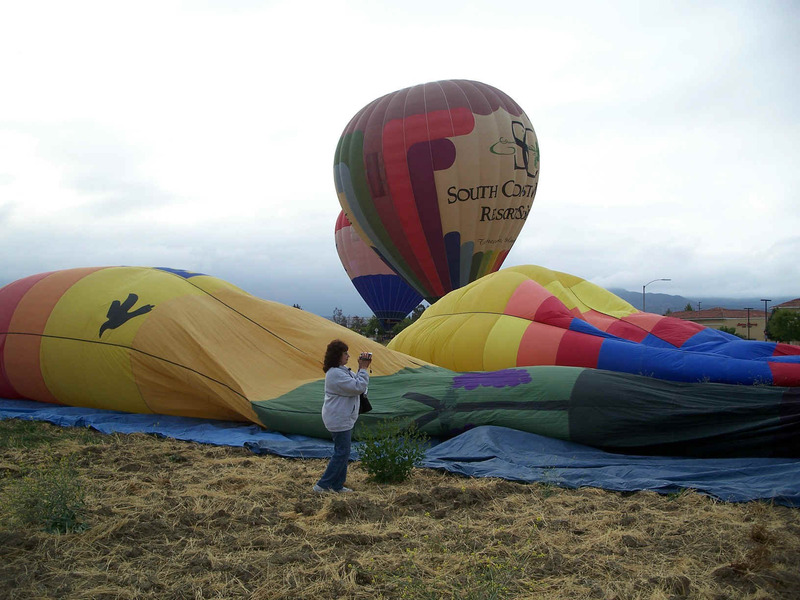 My immediate destination was the annual Balloon and Wine Festival, a multi-hued event where brightly colored hot air balloons ascend hundreds of feet into the air floating over the area’s verdant vineyards. 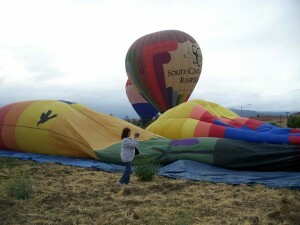 Early in the morning, I watched fascinated as the huge balloons inflated to their full seven story height, then as instructed, hauled myself into the basket. My pilot for the excursion, Rusty Manning, fun loving owner of A Grape Escape, entertained me and the other passengers with stories about Temecula as we drifted through the air. Upon my return to earth, I headed over to the festival to partake of some of the award winning wines I had been hearing about. However, first I chowed down a succulent barbecued tri-tip sandwich while listening to the music of Survivor, then browsed through a variety of stalls offering arts and crafts and other merchandise for sale. Peeking into a crowded tent I watched Epicurean delights accompanied by wine from local vineyards being enjoyed in the Wine & Food Pairing pavilion. A happy looking group crowded around the tree shaded wine tasting tents and I joined in to sample several locally produced wines of the region, a preview to my plan to do a mini wine tour the following day. The turn out for this event was in the tens of thousands and festival participants of all ages were having fun in the sun in the beautiful outdoor setting at Lake Skinner recreation area surrounded by the San Jacinto Mountains. 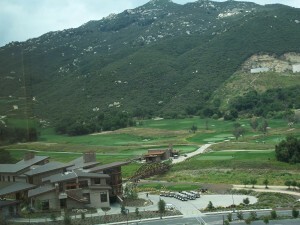 I had heard good things about the Temecula Creek Inn, so booked myself into the 300-acre resort for my three day getaway. Thousands of roses in full bloom lined the road leading up to the lovely country inn which proved an excellent choice with comfortable accommodations, a championship golf course, tennis courts, swimming pool and exceptional dining. Touring the property, I discovered two special albeit low-profile buildings tucked away on the grounds of the Inn and was fortunate in being invited to attend a special winemaker dinner in the picturesque 130 year old Stonehouse one evening. Arriving at twilight, the entrance and surrounding grounds twinkled with tiny lights and I could well imagine a wedding taking place on the grounds. Inside, candlelight and firelight filled the room and a formally set table for 20 glistened with sparkling wine goblets and dinnerware. The outstanding multi-course feast presented under the direction of super-star Executive Chef Salvatore Giuliano and accompanied by fine Temecula wines from the Robert Renzoni Vineyards had guests raving. The secluded Stonehouse is available to host special dinners, weddings and other celebrations. During my stay at the Temecula Creek Inn, I enjoyed several of Chef Sal’s scrumptious offerings at the hotel’s Temet Grill where he specializes in pairing Temecula wines with gourmet cuisine. I also checked out the three-bedroom Creekside Guesthouse situated right at the edge of the golf course, a warm and cozy private bungalow perfect for corporate and family gatherings. Since Temecula has recently been receiving rave reviews for their wines, I chose three of the 30-some to visit one afternoon. The region boasts an excellent lineup of award-winning Merlot, Syrah and Chardonnay in addition to Sauvignon Blanc, Meritage blend, Zinfandel and vintage Ports. Many wineries have tasting rooms, picnic areas, wedding sites and a few include private rooms for wine club members and special private wine pairing dinners. 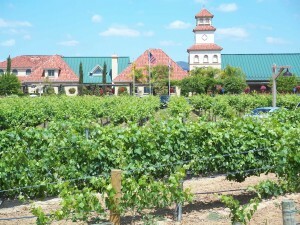 Temecula Valley’s unique microclimate and granite-based soil makes it ideal for growing grapes and producing premium wines. My visit began at Leonesse Winery, proudly featuring organic food and wine, all grown on the premises. One of the co-owners, Mike Rennie, passionately explained his philosophy and love of the business, then walked me through part of the vineyards, showed off the Tasting Room patios, and charming elevated ceremony lawn overlooking the vineyards which is used mostly for weddings. I then was invited to taste several of his outstanding wines accompanied by delicious slow food “Small Byte” appetizers served in the handsome Barrel Room generally reserved for VIPs and special Wine Club Members. Leonesse produces more than 20 varieties of wine with a range that suits all palates from the novice to the most discriminating tastes. Rennie happened into the business quite by accident but his love and caring have made it one of the best in the area. My next stop was Wiens Family Cellars, indeed a family affair in which four brothers man various aspects of the operation. Known for their “Big Reds,” the winery produces a broad range of award winning, estate farmed varietals. In addition to creating sensational tastes, Weins has recently begun creating very attractive Artist Series Labels for some of their fine wines. Before leaving, I visited their event venues including the private wedding area which featured lovely bride and groom bungalows, the enclosed pavilion, the outdoor patio and the intimate Barrel Room for those special occasions. One wall at the mini, unpretentious Hart Winery was covered with award ribbons. The bearded, mischievous Mr. Hart, a former teacher, presented the visiting group with an informal but informative talk on wines and his philosophy while we swirled and sampled several of his handcrafted, barrel-aged reds. His very personal winery specializes in Mediterranean varietals. 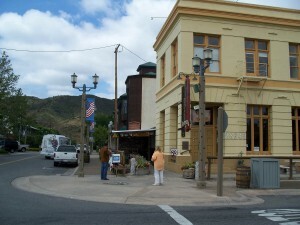 The following day I ventured into Temecula’s Old Town with a history dating back to 1882. My first stop, the women owned and operated Temecula Olive Oil Company included a tasting room set up very much like the wineries I had visited. One of the owners, Nancy Curry, behind the bar, poured out more than 20 samples of hand crafted California extra virgin olive oil including ones infused with roasted garlic, citrus and fresh basil. The proprietors’ mission is to teach and bring attention to the simplicity of healthy eating through both cooking and educational classes. Their mission is to be ecologically focused on giving back to the earth by practicing sound environmental principles in the field including sustainable agriculture. The retail area features more than 30 varieties of company grown olive oils and related Artisan food items. While there, I learned some colorful history about the building which has accommodated other women owned and operated businesses. In the old days, the upstairs area of the historic Welte building housed a brothel. 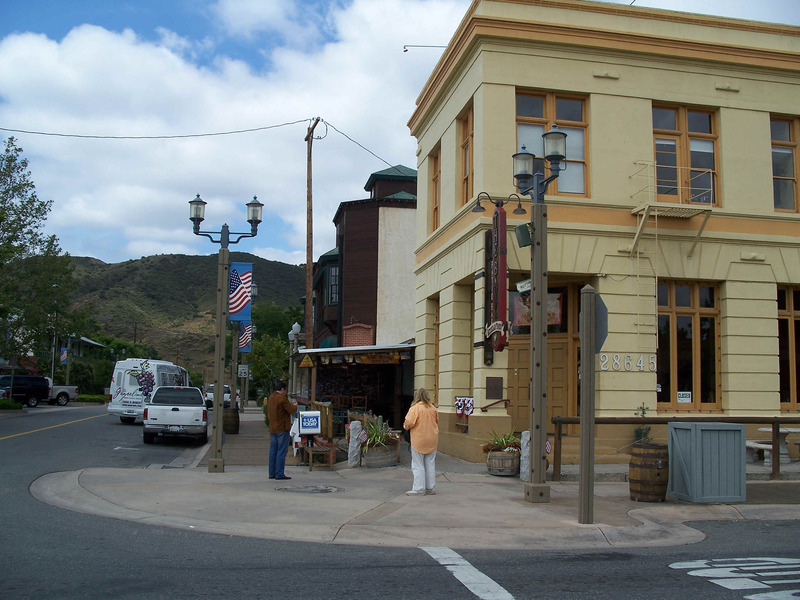 I explored the charming streets of Old Town, dating back to 1882 and discovered a variety of boutiques, antique shops, galleries and restaurants in addition to historic buildings, a fine community theatre, the Temecula Valley Museum and the Imagination Workshop Children’s Museum. It was a step back in time where I could envision myself riding along in a horse drawn buggy. The area offers a plethora of other venues and activities to suit every taste. 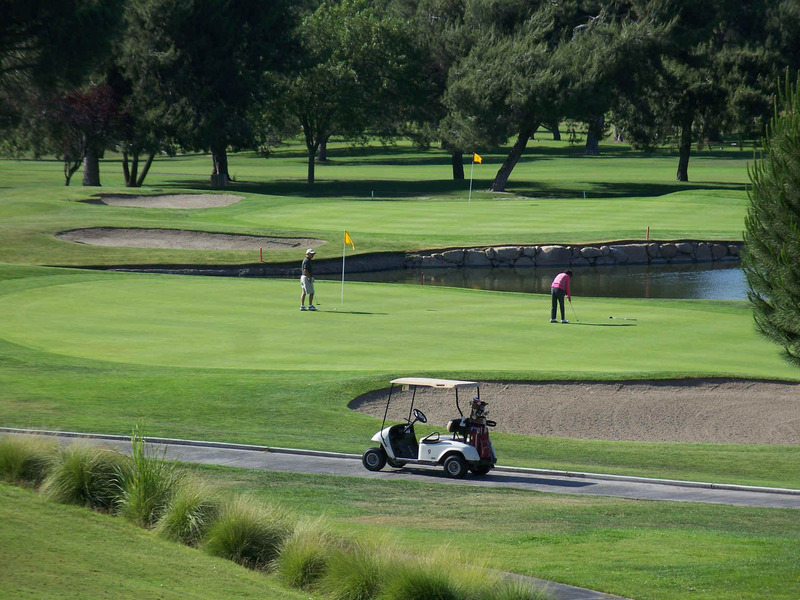 The award winning Journey golf course at the Pechanga resort also includes one of the largest gambling casinos in the country and first class entertainment. There was hiking and horse back riding through the nearby tranquil Santa Rosa Plateau Ecological Reserve home to some of Southern California’s last vernal pools. An added attraction appears each spring with acres of colorful wildflowers. Also close by I discovered Palomar Mountain State Park, Anza-Borrego Desert State Park and several other outdoor venues to explore. 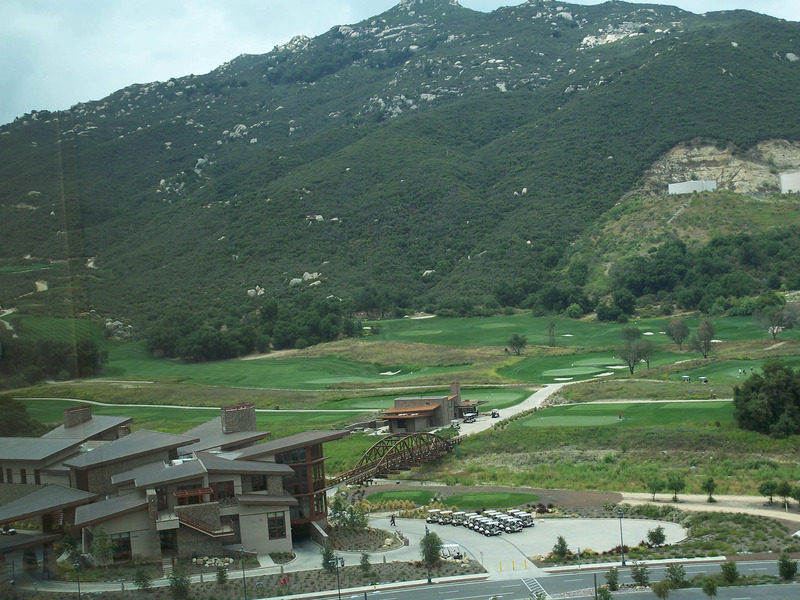 Temecula has it all: festivals, golf, shopping, fine food, excellent wine, gambling, entertainment and the great outdoors. Many Hollywood and sports celebrities frequent Temecula where they can enjoy an unhassled getaway and stock up on some fine wines. Although I felt as though I had ventured far away, in reality I discovered another world less than a two hour drive from my home in Los Angeles and equally accessible from Riverside, Orange and San Diego counties. 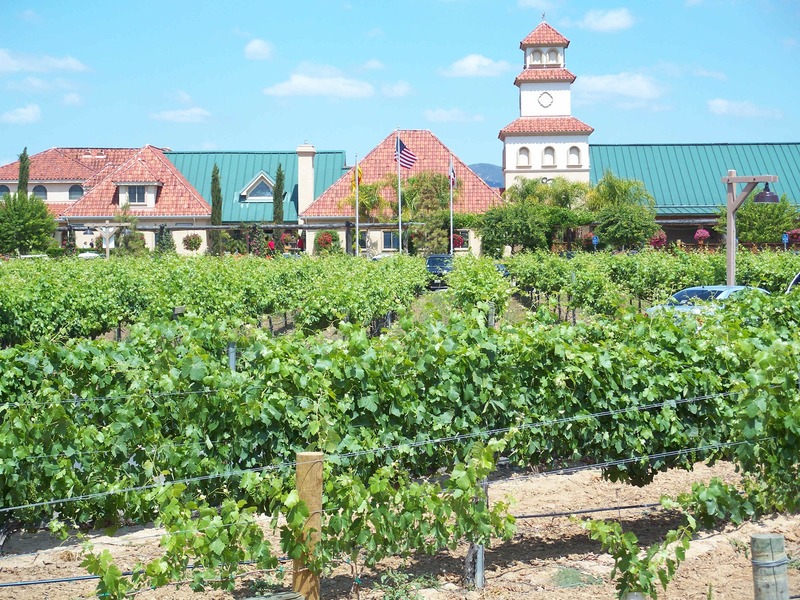 Grapeline Wine Country Tours: offers an insider’s view of Southern California’s premier wine region aboard spacious deluxe shuttle coaches with professionally arranged itineraries. 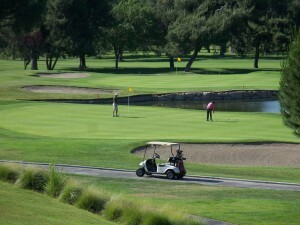 Departs from convenient depot locations at most Temecula area hotels.